As a Senior Advisor at Avaus Innovations Oy, Mikko helps his clients in moving from campaign-centric marketing to data-driven ongoing programs - continuously keeping his focus on sales results. Preceding this, he was a Creative Director at TBWA\Helsinki and has been one of the key members of a team that has transformed the company from a traditional Advertising Agency to a Marketing Innovation Agency. The team has focused on making TBWA\Helsinki an all-round organization that has been able to grow and is one of the largest and rewarded players in the Finnish advertising scene. 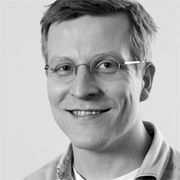 In addition to developing and leading the creative competence at TBWA\Helsinki, Mikko was in charge of some of the most prominent accounts of the company, also focusing specifically on retail and e-commerce business in general. He has been able to build a model of conceptual planning that combines philosophy of customer loyalty program, communications directed for personnel and media advertising in retail business. Mikko holds several Grad Prix, Gold, Silver and Bronce positions and has been shortlisted many times at, for example, One Show, Epica, Clio, Cannes, Eurobest, Golden Drum, Golden Hammer, Cresta and New York Festival. In year 2010 Graphis Advertising Annual honored his teams work for Instrumentarium with ‘Best of the Year’ platinium nomination. Mikko’s work has been listed in the Lürzer’s Archive and Shots and many other publications. In addition to his work at TBWA\Helsinki, Mikko is one of the owners of Record Store Ax Chain, which has seven stores in Finland’s largest cities and also is one of the most popular online shops in the Finnish music business. He is also the CEO of Torvinen & Co, a marketing consulting company. Before moving on to advertising, Mikko Torvinen had a brief but successful career as a rock star in his rock band Mikko Torvisen Viihdeorkesteri, and even had two singles on the official Top 20 list of Finland. Music continues being an important part of Mikko Torvinen’s life. He is currently working on his second solo album.